Enthusiast of self-balancing personal transporters have lots of products to choose from: electric skateboards, hoverboards, e-scooters and bikes. But all of these devices tether the feet and limit bipedal mobility. But that’s not the case with the Hovershoes. 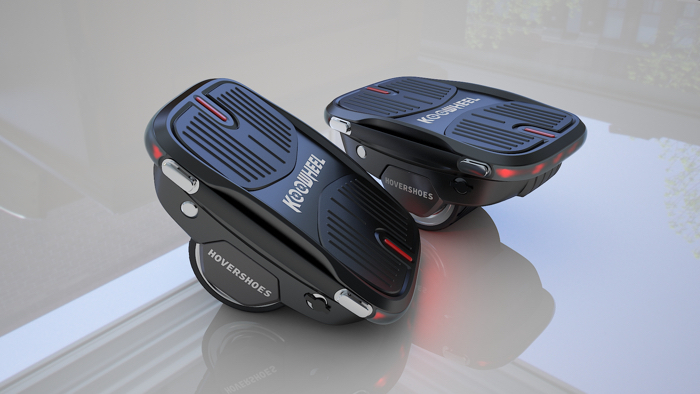 From the team at Koowheel (creators of e-scooters, e-bikes, electric longboards and hoverboards) come the Hovershoes – two separate self-balancing hoverboards with inbuilt gravity sensors on each foot that give users the freedom of mobility no other rideable can. They are so easy to drive anyone, adult or child, can learn to ride them in 5 minutes without any prior experience thanks to the precision sensors each shoe is built with. Just step on, lean the feet forward to accelerate, lean back to slow down and aim the feet in a direction to begin moving. 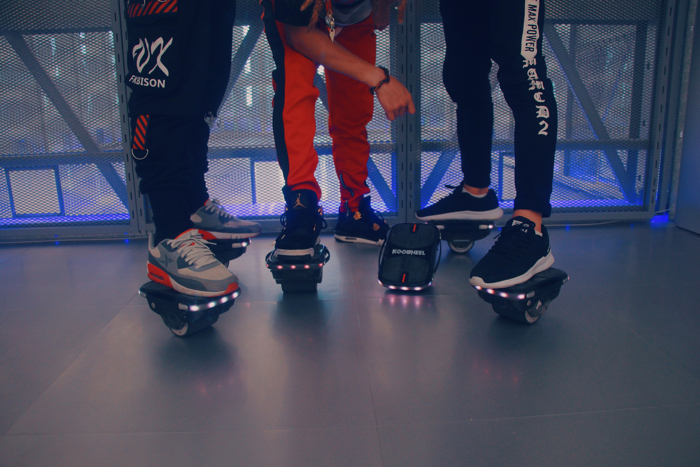 When compared to traditional roller skates the Hovershoes allow users to reach top speeds and can easily be stepped off of in case of difficult terrain. Weighing only 3.3kg each (~7lbs) they can be carried easily and without hassle and are even safe to fly with. They don’t require remote controls like electric longboards and aren’t as heavy as e-scooters or hoverboards. Koowheel can reach speeds of 12 Km/H and cover a distance of 10KM on a single 1.5H charge. Aside from the fun maneuvers possible due to having freedom between the feet, riders won’t run into issues where one foot is dominant and dictates the movement of the other. And they are even offering local support in the USA and Germany, and will be extending it to many other nations very soon. 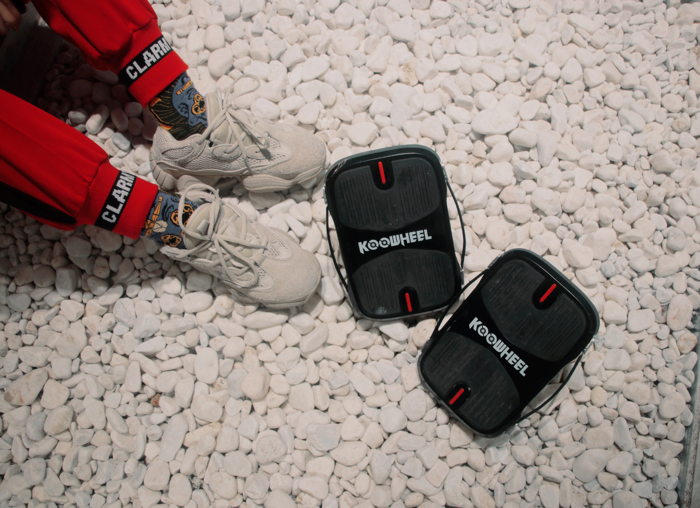 The Koowheel Hovershoes are now available for purchase at their official website http://www.koowheel.com/ and on http://www.roto-band.com/.